From farming to playing piano, painting to writing poetry, Joseph Myer—aka Joe—has led quite the artistic life. Creativity is in his blood and bones. But so is farming. Born in Ithaca, NY, growing up on a fifth-generation farm in the town of Ovid, it isn’t hard to understand why he’d try his hand at distilling. But to go from professional painter, poet and musician to distiller? Joe exhibited and sold visual art for 20 years, including at galleries like the New York State Museum in Albany and Limner Gallery in Manhattan. For 13 years, he published poetry in journals such as River City and Forklift, Ohio. If that wasn’t enough, he played and recorded with bands Madder Rose and Saint Low, while he also taught private violin and piano lessons starting at age 15. As the yin to his artistic yang, he was owner/operator of JMyer Holsteins for seven years, raising and selling brood cows and stud bulls. The farm and land always called to him throughout his artistic career. So how does one marry an artist’s vision with working the earth? Co-founding Myer Farm Distillers with his brother, John, in 2012, Myer is on a path that marries both. And awards and loyal customers have followed suit. Here, in his own words, Myer tells us about his fascinating path to distilling, his organic and sustainable practices with his brother and how he has grown his brand. I’m a fifth-generation farm boy. My ancestors settled the town of Ovid [New York], and the Myer family has been farming in Ovid since before 1810. We’ve been on this particular plot of land, on which the distillery sits, since 1868. My mother was an organist and piano teacher—she just retired from playing the organ last year at age 91 and still has a studio of piano students. [Given this musical history] I studied music since I was 5 years old. First piano, then Suzuki violin. I graduated with a bachelor’s degree in both piano and violin performance. However, my dad had sold his dairy herd when I was 13, and I very much missed the cows and farming, so after college I found work as a dairy herdsman and eventually started a small business raising and selling brood cows and stud bulls. My parents always drilled into us kids that we were to develop our talents, so I saved up my money from farming, then spent some time developing as a visual artist, showing award-winning paintings and drawings. I also got a master’s degree in writing/poetry from Warren Wilson College. I moved to Cambridge, MA, for a bit, but I missed the fields so much that I had to come back home. What led you to distilling and spirits? I worked as an administrative assistant at Cornell University for several years while I was working on a writing project. My brother [and business co-founder, John] and I got talking about what we might be able to do together [and a way to] help me get back to some kind of agriculture-related work with our land. We considered starting a vineyard, but the wine industry here—we live on the Cayuga Wine Trail in the Finger Lakes Region of New York—is fairly saturated and I didn’t want to have to manage a large work crew. As an artist, I’m a little obsessive about controlling the various elements of what I produce. Independently of each other, we attended craft distilling conferences. [Watching the] burgeoning craft-spirits movement following the early trajectory of the craft-brewing movement, we realized that this was the perfect project for us. It helped that I had long appreciated whiskey and other spirits and had the wide range of skills necessary to start and run the business as well as do the distilling. What spirits do you consider your flagship spirits and why are you distilling those particular spirits? Our flagship spirits are our Myer Farm Gin, Cayuga Gold Barrel Gin, John Myer Bourbon Whiskey and Myer Farm Ginger Vodka. The more classic Myer Farm Gin is our best seller and, in our second year of production, won Best of Category with a Silver Medal at the American Distilling Institute’s (ADI’s) 7th Annual Judging of Artisan American Spirits. Its popularity stems from the fact that the juniper plays in concert with the other botanicals rather than overwhelms the spirit. The coriander, cardamom and cubeb berries, among other botanicals I use, don’t get second billing, but rather configure with the juniper in a multifaceted expression. Additionally, we vapor-infuse our gin and don’t skimp on the botanicals, so the spirit is rich and robust. It is my favorite spirit and the one of which I’m most proud. The Cayuga Gold is our barrel-aged gin. It, too, has won multiple awards, including Best of Category with a Silver Medal (from ADI’s 9th Annual Judging). I began making the aged gin because when distilling our regular gin (and making conservative cuts for it), I was tasting all these incredible flavors throughout the distillation that otherwise people wouldn’t be able to experience. I age it in our once-used whiskey barrels. The result features a variety of Indian spice flavors. As you’d expect, the rye-barrel version created additional spice notes, while our more recent bourbon-barrel version—aged 20 months—is especially reminiscent of buttered cinnamon toast. Most people enjoy drinking it neat, but it works well with a variety of mixers like cider or cream soda. Although we’re seeing rye whiskeys return in popularity, bourbon remains a mainstay for many consumers and an essential product on our roster. As with most spirits, one can find a range of flavor profiles in bourbons. One thing I’ve noticed among the variety of bourbons I’ve tasted over the years is how—from my perspective—the notes from malted barley overwhelm many flavor profiles. With my goal of finding a balance between tradition and innovation, I chose to use unmalted barley in greater proportion than rye to the corn, along with a small portion of hard red spring wheat in our bourbon. The result yields a truer expression of the barley. It’s a lighter, springier expression of cereal notes, as well as a less muted or obscured appreciation of the corn in the painting of flavors on the palate. We’re also known for our Myer Farm Ginger Vodka. We use fresh, organic ginger root that is grown just down the road at Good Life Farm, home of Finger Lakes Cider House. We actually offer two versions. My favorite is the more subtle product that is beautifully nuanced with nutty and lemon notes. The crowd favorite is our more ginger-forward, robust version [50% more ginger infused by volume]. We and local restaurants feature it in Moscow Mules, ginger-lemon sodas and ginger-chocolate martinis. One of our local chocolatiers, Rue Claire Chocolates, uses both the ginger vodka and the Cayuga Gold in their confections. Ours is a true field to flask operation. We start with our own estate-grown grain, cultivated by my brother and business partner, John Myer, who has managed the land sustainably and has had the farm and the grain from his harvests certified organic for almost 35 years. We use soft white winter wheat for our NGS base for gin and vodka. We use a variety of hard red spring wheat, which is quite a different grain from the soft white wheat, for our wheat whiskey. I’ve noted above an example of a unique mash bill for the bourbon. We use a Carl 650-liter still that has a rectification column, a whiskey head and a dedicated gin head. How does living in New York state determine the style of your business? The Finger Lakes region of New York is both a vessel of passionate locavorism and agri-tourism: We grow world-class Rieslings here as well as other vinifera, such as Cabernet Franc and Pinot Noir, and have two long-established wine trails, the Seneca Wine Trail and the Cayuga Wine Trail—the latter on which we are located. Given that we’ve been cultivating the land and living here for generations, I think we’re a deep and integral part of the regional energy. We care about living sustainably as part of our community and love to share our passion for farming and distilling with our visitors and readers. We use our own certified organic grain from land that has been in our family since 1868, and that my brother John has been cultivating and nurturing organically for almost 35 years. This adds a layer of authenticity and integrity to the spirits we produce. Visitors and customers can look out of the tasting room at fields where some of the grain is grown. Additionally, we make our own Neutral Grain Spirit (the base for both gin and vodka), rather than purchase it bulk from a bigger supplier as many craft distillers do. This adds layers of depth both in terms of product flavor and sustainability. We also use local and sustainable ingredients where possible for our infusions. For example, the coffee beans that we use for our coffee vodka may be from Costa Rica, but they are sourced from shade-grown farms through fair trade practices and roasted locally by Gimme! Coffee. For our ginger vodka, we use fresh organic ginger root that is grown just five miles down the road from us at Good Life Farm. How have you grown your brand at bars and beyond? We self-distribute in New York and do many pourings for both retail stores and on-premise locations. Numerous bars feature our spirits in their house cocktail lists. We’re also available in PA through their special liquor order program—just ask any store to order us for you—as well as Maryland and Washington, D.C., via SpeakEasy Spirits—now merged with Madidus Importers. We benefit from a lot of articles and reviews whose publishers and writers seek us out because of the awards we’ve won and our story, I suppose. We also pour for and donate product to about a hundred benefits and events per year. Mostly these are to support local community efforts—for example, families whose loved ones are fighting cancer—or regional chapters of national fundraisers [e.g., Taste of the Nation’s No Kid Hungry, etc. ], but I also pour or send donations out more broadly. For example, we donated the spirits used for the release party of the sustainability/fashion magazine, A Green Beauty, in New York City. We’ve also attended the Rochester Cocktail Revival, the Manhattan Cocktail Classic and Tales of the Cocktail in New Orleans. 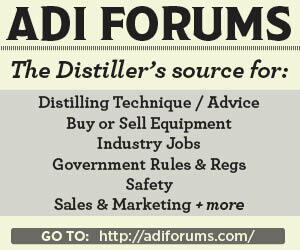 What advice would you give to fellow distillers looking to get their spirits into bars? One needs to first produce a high-quality spirit that is somewhat distinctive. Then one needs to knock on doors, make calls and spend time pouring the product for bartenders/owners. We’ve found that bars, lounges and restaurants that highlight locally-grown and produced food and beverages and who create distinctive cocktails for a house cocktail list prefer using locally produced spirits and are happy to support us. Many cities have bar and/or cocktail associations that work together with each other and producers to generate mutual support. 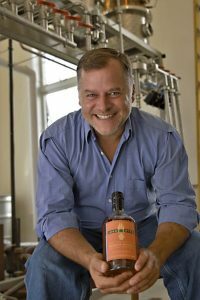 What small-batch/craft spirits are exciting you most right now? 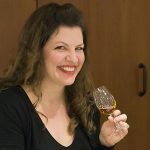 I don’t have a chance to actually taste near the range of available craft spirits in the country, given that most are not widely distributed, but from what I’ve read, there are a lot of exciting spirits out there. I think the current climate is one of invigorating ingenuity and consumers are loving it. Craft spirits producers are continually trying new things—from using rediscovered methods and rarely utilized grains to using smoked woods and hops in the spirit or hand-selected and specially cured wood in the barrel. The mixologists carry this to the front of the consumer line with house-made bitters, shrubs and refined and local mixers that configure to yield exciting cocktails.